Yes, it has been a while since our last update. It certainly hasn't been for lack of fodder for posting, but just that the blog hasn't been the right forum to discuss what has been happening. It has been a whirlwind of change: I started a new job, which meant I was working two jobs and out of the house from 7:15am until 7:00pm daily, and eating lunch in the car between jobs. Then, I subsequently resigned from the first of the two jobs, which cut 40 daily miles off my commute, and lots of stress out of my life. In the midst of all of this . . . 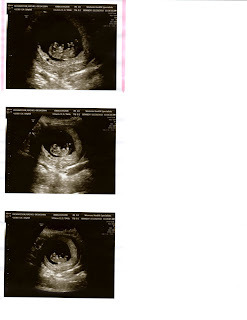 THERE IS A BABY IN MY UTERUS. How did the baby get there? I am not sure. I've spent a lot of time with children and babies in the past couple of years. I think I must have caught it, like the flu. Also, I'm not sure how the baby transfers from my belly to the little blanket in the stork's mouth. You'll have to ask your mother. When is your due date? How far along are you? June 18th. Andy's birthday is on June 9th, and Father's Day is June 16th this year. Oh, and my school year ends June 11th. That puts me at 12 weeks on Tuesday. Thanks for asking! I feel fine--insomuch that at times, I don't feel pregnant at all. I haven't been sick once. The most I've felt is a bit of fatigue and some aches and soreness. Also, I feel pretty hungry. Don't know yet. We'll find out, but we're not into the whole "pink and blue" bit, so it will mostly be to mentally prepare ourselves for the outcome. You know, and help us choose a name. Speaking of names, have you thought of any? Not really. If you have any ideas, please send them our way! Who was the first person you told? After our immediate families, the first person I told was my girl Januka, a Bhutanese 65-year-old who speaks very little English. She was my English student in Pittsburgh, and calls me every couple of weeks just to shoot the breeze. She says she wants to come visit me and the baby. Nah. I've been eating a ton of eggs lately, so maybe that counts. But at the same time, I am not really sure that my constant desire for sweets and fatty foods count as "cravings," and not just "fat kid disease," which I suppose is a condition that pre-dates the pregnancy. How did the cats react when you told them? Yunus is happy, and has taken to protecting my belly and giving extra massages to the baby. Annie is just too wrapped up in her own cuteness to care, really. Also, here's a picture of Nugget, taken at 10 weeks. Love that little belly! RACHEL!!!! Congratulations! What wonderful and exciting news. I'm SO glad you have been feeling well, what a great blessing. I'm super excited for you--you're going to be a great mommy!! Congratulations! Oh, and I'm jealous that you didn't get sick. :) But I still didn't have it as bad as some people for either of mine, so I can't really complain anyway. I always wanted to have a real craving, but haven't yet. Maybe you'll get to have an exciting one. Hope all goes well for you for the next 6 months or so! Congratulations!! That is such exciting news. I love your "How did the baby get there" response. SO funny! OHHHHH. OHHHHHHHHHH. *SQUEAL* When I get out of my euphoric shock and can form a complete sentance, we need a phone date. 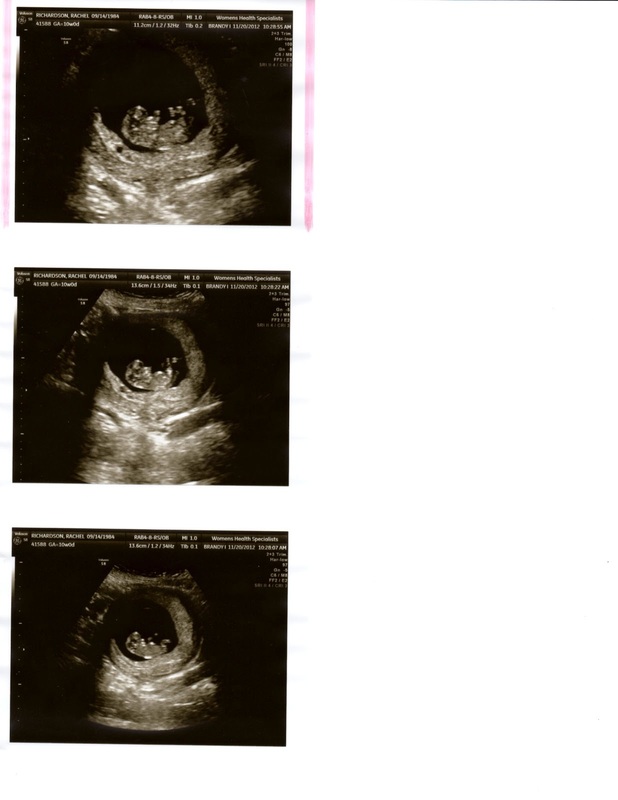 Also, I'm crying right now from happiness and my own raging pregnancy horomones. LOVE YOU! NO WAY!!!! Amazing news! So very happy for you and glad you feel good! I seriously wish you the best because I hated being pregnant SO MuCh this last time. Advice: treat yourself to a massage afterwards. Wahoo! Congratulations. Hope the rest of the pregnancy continues well. So exciting! OH MY GOSH! I'm so excited for you both!!! Congrats!